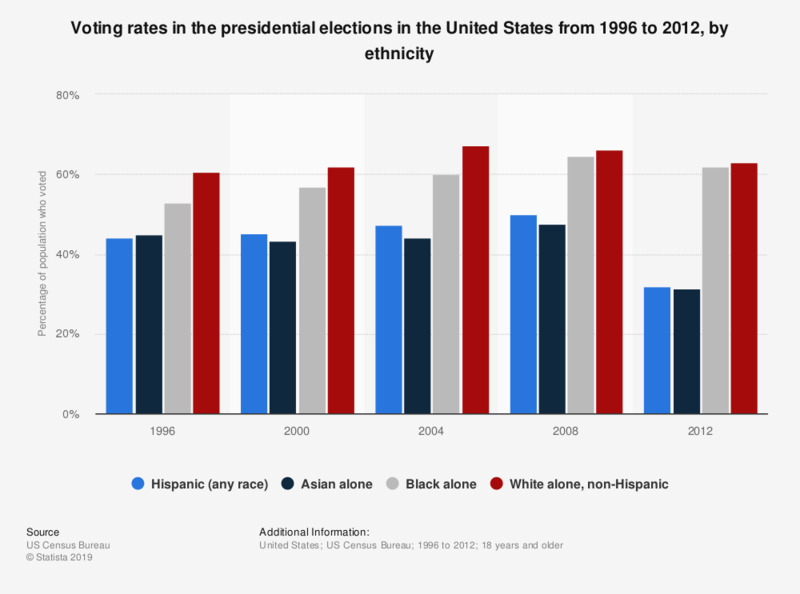 This statistic shows the voting rates in the United States from 1996 to 2012, by race. In 1996, 44 percent of the Hispanic population living in the United States, voted in the presidential elections. Data from previous years has been taken from previous reports which can be found here.